The only messages I get with my normal phone text messaging is lots of spam and text messages from the bank. I don’t even check my inbox properly. In Korea everything is done with KakaoTalk, not only for talking friends but even business contacts. The KakaoTalk characters are very popular and there’s lots of super cute merchandise with them. In Korean culture it’s polite to give things to people with 2 hands, or with the other hand supporting your arm. It’s especially important to do that with someone older than you or if they are in a higher position. Being married, we don’t need to always give things with 2 hands (though some people who have a more formal marriage may still always do it) so it was funny that Hugh did it by reflex when he was concentrating too much on something else but still didn’t actually look at me. Within a marriage you can also do it on purpose to show respect or care but is not necessary all the time. Also because I’m not Korean and our marriage is a cross cultural marriage, we are changing between 2 different cultures constantly. Haha… I thought there was room for some lighthearted fun at the expense of some of these sites… I still follow them and check what they report on, but I love making fun of ridiculous clickbait titles and articles. So watch out… the next “trend in Korea” they report on, it might have been created by me! Thank you for the likes, shares, comments and good rating! Other artists you can help become featured artists are Dom (from Dom & Hyo): His webtoon is here. And Grace from (Texan in Tokyo): Her webtoon is here. Show your support by liking, sharing, commenting and rating. LINE Webtoon is one of the only sites that pays artists, so this is a way to help artists becomes paid featured artists. 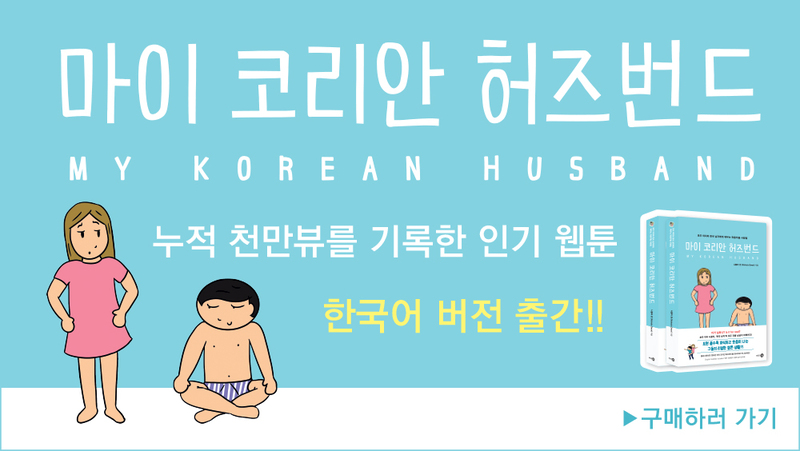 Being married to a Korean man doesn’t mean it’s easy to get help with learning Korean. This post is sponsored by HelloTalk. We only agree to sponsored posts if it’s something we actually use and like, and we both use this app for language exchange. We talked about recent health problems in this video, but in this vlog we got some good news. Thank you everyone for your support! By liking, sharing, commenting or rating you are directly helping artists continue to do this as a career: which also means they can continue to make free content for you! This is because of sites like LINE Webtoon. Make sure that if a webcomic is on LINE Webtoon, that you read it on there and not other sites. Sites like MangaBay or MangaFox etc are illegal sites that steal all their content. Not only do they steal content but they chop up webcomics and place panels on separate pages to maximize their advertising revenue from dubious ads while not caring about the reader’s experience. LINE Webtoon pays artists for their work and displays it in the best way possible, all while making it free and accessible to you. Support the sites that support the artists.